Last season treble winning team, Inter Milan, seems very confident with their current squad as they didn’t make any significant signings this summer aside from youngsters such as Phelipe Coutinho and Jonathan Biabiany. However, despite the confident shown by the club’s director, Marco Branca, the Nerazzurri’s coach, Rafael Benitez, reportedly is disappointed with his team’s decision to be inactive in the transfer market. The former Liverpool’s coach has never hide his intention to sign some players that he really wanted, however until the summer transfer window closed on August 31, Inter’s directors doesn’t seem interested in giving Benitez his requests. Many speculation from the press suggested that the Spanish tactician is very keen to reunite with some of his former employee at the Reds, notably Javier Mascherano and Dirk Kuyt. The Nerazurri reportedly did make a late effort in trying to sign those two players, however the attempt comes up empty handed as Liverpool rejected Inter’s offer for their two players. Surely the treble winning team’s supporters will be hoping that the situation won’t make Benitez lost any interest in giving the best for the club as the coach might feel that he is not respected by the board. Despite having most of the squad that wins the treble last season, Inter did lose a bit of their strength with the departure of their previous coach, Jose Mourinho, and also a talented player that are useful for them, Mario Balotelli. Another importan thing that the Nerazurri board should really consider is the fact that their team are actually aging as most of their important first team players have reached the 30 plus mark. 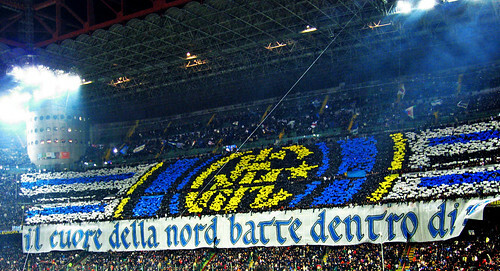 Without any important signings that could at least be a useful sub for their first team players, it would be interesting to see how would Inter take their season especially with a new coach. Surely everything now will depend a lot of Benitez’s ability to quickly find the right formula that can make his team tick in order to face tough challenges ahead both in Serie A or the Champions League.